We are going to cover a couple different sections of inbound marketing and content marketing; one in the same. Inbound marketing is one of the most important variables of your SEO (Search Engine Optimization) efforts if not the most important. Be sure to read our 8 Facts About Inbound Marketing if you are looking for the specific details on content marketing. What makes a good content writing team? When it comes to marketing, there are two main categories to focus on: inbound and outbound. Outbound Marketing is extremely active since you send out paid ads to find customers, send them promotions, and basically hope for the best ROI possible. However, it still works. Inbound Marketing, on the other hand, is much more passive and, thanks to the internet, often just as effective if not more so. And, Inbound Marketing is on the rise. So what is inbound marketing? Inbound marketing is what you offer on your website and the tools you use to help customers find you. Instead of trying to attract customers with emails and shiny paid ads, you put your stunning content online and optimize it with premium SEO techniques. Once you develop a premium piece of content and optimize it, search engines will find it. After the search engines find your content, they index it and then let the customers come to you. As your prospects search for the products, services, or information you have to offer, your page on the search engines rank and you get leads. When you set up content for your inbound marketing strategies, you can choose to put it on static pages or on a blog. You should make ample use of both and one area to capitalize on this is on the side of the blog. Blogging is one of the most useful tools you have in your inbound marketing arsenal. If you need help creating content for your blog, or figuring out what content you need to post to get maximum results, let Front Street Media help you! Blogging is one of the most useful tools you have in your inbound marketing arsenal. 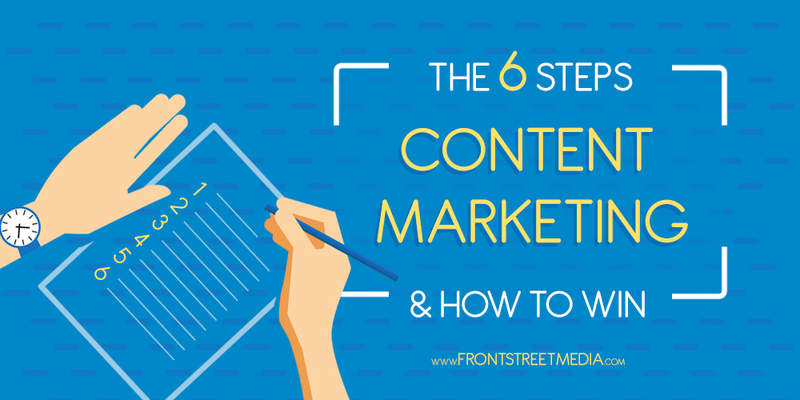 If you need help creating content for your blog, or figuring out what content you need to post to get maximum results, let Front Street Media help you! Blogging is a method of posting information organized primarily by the date on which it was posted. Effective blog posts can be anything from an explanation of how your product works to a news update on something that is going on in your company. Blog posts can even give general commentary on recent news that relates to your industry. Blogging is meant to give your users a benefit, something they can learn from or something they can walk away with and use in the future. You should be blogging frequently – several times a week, if not every day. At first glance, it would seem that blogs would have a tendency to be disorganized and that the information would be better presented on static pages. So why do we recommend that you upload information as blog posts and that you blog frequently? The biggest reason is that search engines love blogs. Search engine bots crawl the static portions of your site every once in a while and now more frequently with Googles Caffeine Update. Your website and business will only get pushed up the SERPS for having new content when the bots notice that new content is up. 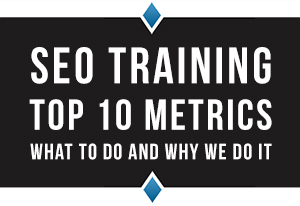 Blog posts now bump you up in search engine rankings almost instantly. The new content is available and searchable within moments with Google’s core algorithm, and your place on the search results may change just as fast. So if you are looking for quick results on your inbound marketing campaign, make sure to get new blog posts up frequently. Writing blog posts every day or every couple of days can become quite a burden. It’s a good idea to get a talented and knowledgeable content writing team on your side to help you stay on top of your blogging and content posting goals. Here at Front Street Media, we can help you with your content needs and make sure your site always has new and interesting content for your readers to peruse. When you are looking for a great content writing team, the first thing to look for is whether their articles are interesting, informative, and well written. Remember: the first audience for your content is the real people who will be reading it. If the reading experience isn’t good your site won’t generate conversions, no matter how search engine friendly it is. The next thing to look at is whether they are experts in SEO. SEO stands for search engine optimization, and it involves a robust set of skills to make your site rise in search engine rankings. Your content writing team should be able to give you details of their SEO strategy and tell you exactly how they are going to boost your site in the results and convert visitors into leads. They should also be able to show you sites that they have done SEO on, which have impressive search engine rankings. Here at Front Street Media, we are experts in SEO and user experience in web design. Our content writing team can give you interesting, high-quality content that is optimized to bump your site up in the Google rankings. Give us a call today to find out how we can optimize your content marketing for your company in El Dorado Hills! Plan your content. Decide what you are going to post, when, and where you are going to put it on your site. Communicate with your marketing team to get a good strategy for your project. Optimize your content. Check your keyword density and make your content SEO friendly. Run your keywords against Google AdWords to make sure that they’re as effective as possible, or switch them out for more effective keywords if needed. Don’t forget your graphics! An attractive picture will catch readers’ eyes and increase your click through rate many times over. The graphic design elements of any inbound marketing campaign are just as important as the actual content itself. 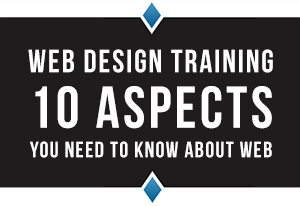 Keep your graphic design elements up to par and you are sure to grab their attention. Syndicate, syndicate, syndicate. Share your post on all your social media sites, get other sites to link up to it, and get visibility in as many places as possible. If you have any questions regarding inbound marketing, content marketing, SEO or conversion rate optimization, contact Front Street Media in El Dorado Hills. We have been in the industry since 2005 and a lot has changed since then. If you are looking to step up your incoming email leads and phone calls, that’s what we do.